Burg Simpson’s mass tort attorneys have represented thousands of plaintiffs who’ve suffered serious side effects from prescription medicines, or who’ve been hurt by defective medical devices, for example. Our team of Colorado mass tort lawyers, paralegals, and nurses has been trained to successfully pursue these types of high-profile litigations, which often involve some of the world’s largest companies, such as pharmaceutical giants and medical device manufacturers. A mass tort is a civil action involving multiple plaintiffs against one or more commercial defendants. These actions can be filed in state or federal court. Mass tort suits are often confused with class action suits. While they are similar, mass tort actions are filed individually as opposed to collectively. Product liability (or defective product) torts: These include things such as medical devices, prescription or over-the-counter drugs, or any other consumer product, such as motor vehicles. Mass toxic torts: These actions represent victims of large-scale exposure to deadly chemicals, such as dioxin, asbestos, and most recently, the lead in the water that still poisons Flint, Michigan, residents. Mass disaster torts: These tort actions are the original mass tort cases, which legal experts say originated back in the late 1960s, when pioneering attorneys sued for plane crash victims. Mass tort litigation is probably one of the most complex areas of law, because so many factors can come into play. These cases can be filed at the state or federal level, and can include large numbers of plaintiffs and/or defendants. Other complicating issues include various state laws that influence levels and types of damages, different statutes of limitations and levels of liability, among others. It’s also possible that these suits can uncover potential third-party issues. For instance, you might have a claim if you’ve been hurt after taking a prescription or over-the-counter drug that lacked proper or complete warnings and/or instructions. When a pharmaceutical company releases a drug into the marketplace without ensuring its safety, thousands – or sometimes millions – of people can be seriously injured or killed. 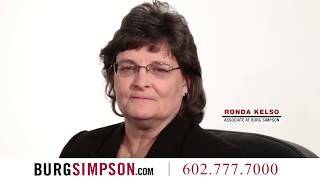 At Burg Simpson, we’ve handled a range of complaints for victims of harmful drugs. We’ve represented thousands of victims who’ve been injured or who’ve suffered devastating side effects after taking prescription medicines. Our Colorado dangerous drug Lawyers believe our compassion, expertise, and resources are unmatched. We’re proud of the work we do: holding negligent pharmaceutical companies accountable, obtaining justice for our clients, keeping bad drugs off the market and, at most importantly, saving lives. 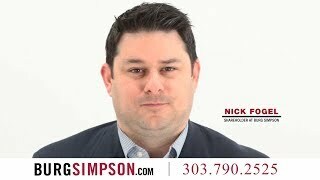 Burg Simpson’s Denver mass tort attorneys can help you, too. We’ve also taken the fight to defective medical device manufacturers. Medical devices are designed and built to help millions recover the quality of life they had before a serious injury took it from them. Tragically, some of these medical devices are later found to be defective or dangerous. A defective medical device can lead to life-threatening consequences and all too often, severe injury. A dangerous medical device attorney has the necessary experience to take your case and secure the compensation you deserve. If a prescription drug or a defective medical device has injured you or a loved one, our attorneys are can help you. The Colorado dangerous drug attorneys at Burg Simpson have decades of experience dealing with a variety of medical claims. Every one of these cases is different and has to be handled accordingly. Determining whether you really do have a valid claim hinges on the circumstances of your case, as well as the applicable law. 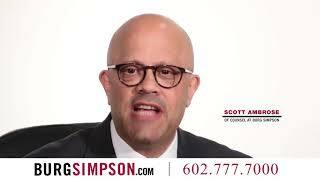 Because of this, and the technical aspects of the science behind these cases, it’s absolutely vital that you speak with the experienced personal injury attorneys at Burg Simpson to discuss your situation. Not only do we have several veteran attorneys well-versed in these cases, but we have access to medical experts who can provide vital insight to help your case. Fill out our Free Case Evaluation form today or call us right now at 303-792-5595 to find out how we can help you before it’s too late.